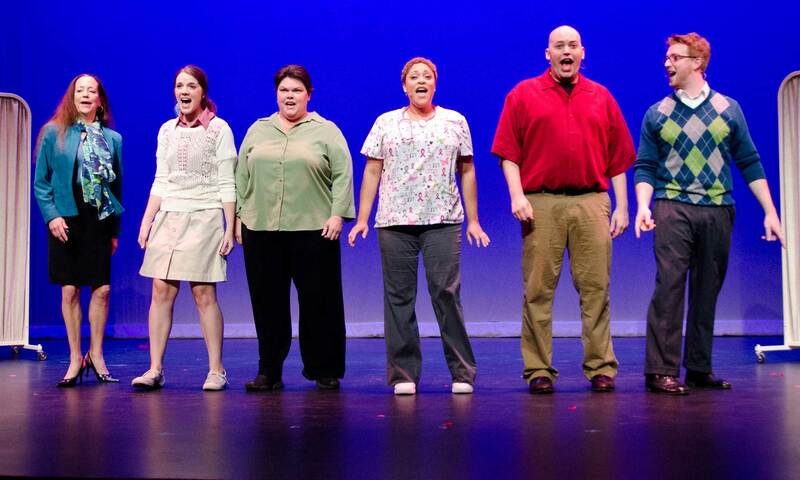 Breast in Show is a live stage musical written by Lisa Hayes with music and lyrics by Joan Cushing. 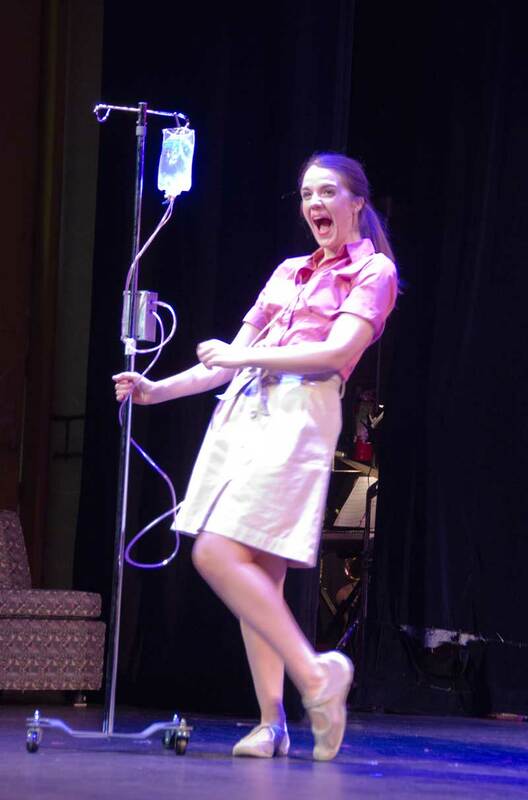 The show was conceived of by Eileen Mitchard, and is based on interviews conducted with patients, medical personnel and family members by Ms. Mitchard, Ms. Hayes and Ms. Cushing over a period of two years. 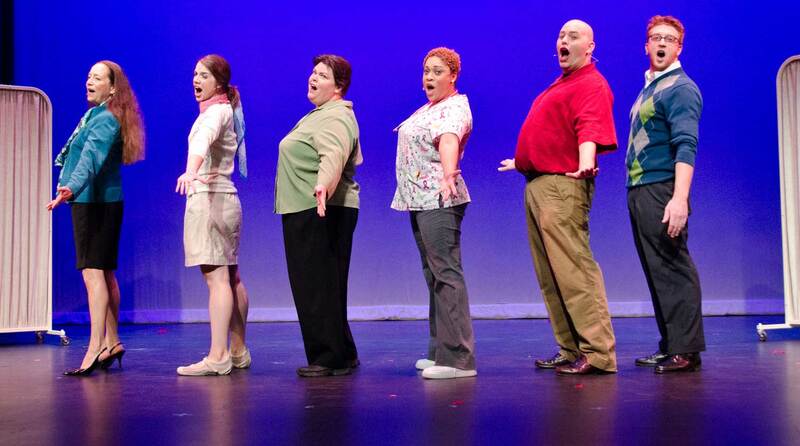 The show explores the lives of five very dissimilar characters, in different stages of their lives who have just been diagnosed with breast cancer. They have nothing in common except their illness and that they are each is in a state of total disbelief. In this 90 minute piece, the audience rides the roller coaster of the disease with the characters as they gain strength and create lasting friendships. Wendy is a married middle-aged lawyer without children, Chelsea is a mother of two in her late twenties, Marsha is a grandmother in her sixties, Pete is a middle-aged husband and father, and Desiree is their nurse, who is facing breast cancer for the second time. The audience gets introduced to the five characters individually as they learn of their diagnosis but it is not until they meet at the Chemo Café that they quickly become close, sharing similar experiences about their illness. Pete explains the mocking cruelty he meets when he reveals he is a man with breast cancer and how people find it funny. The women share stories about how they do not want to lose their breasts even if it’s their doctors’ recommendation, and how doctors and friends try to console them by saying that removing a breast is as inconsequential as removing “my left shoe”. The patients steadily go through chemotherapy, showing how cancer affects every aspect of their lives, work and family. Pete’s daughter is mocked in school when some students find out about him having breast cancer. Wendy tries to hide her illness from her colleagues, pretending to be on vacation and remodeling her kitchen, and all of the healthy spouses in each relationship are worrying about being alone. 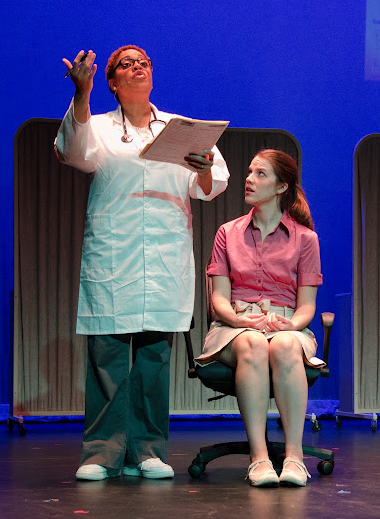 The show calls for 6 actors ( 4 women and 2 men ) to seamlessly play 16 different roles including patients, family, medical personnel and friends. There are 12 songs that are orchestrated for keyboard, drums, trumpet, trombone and reeds. The “Breast in Show” logo was developed in conjunction with Ethel Kessler of the Kessler Design Group in Bethesda MD. Ms. Kessler designed the rainbow colored image of a woman on the breast cancer stamp for the United States Postal Service which has raised more than $74 million for cancer research. The title of the show is a play on words which suggests that the show is funny, poignant and hopeful. At first one might think that a musical about breast cancer would be depressing or cynical and something no one would want to see. However just the opposite is true experience of Breast In Show. The show accentuates the informative, very funny and serious aspects with equal vigor, bringing to the stage an emotional and multi-dimensional production. 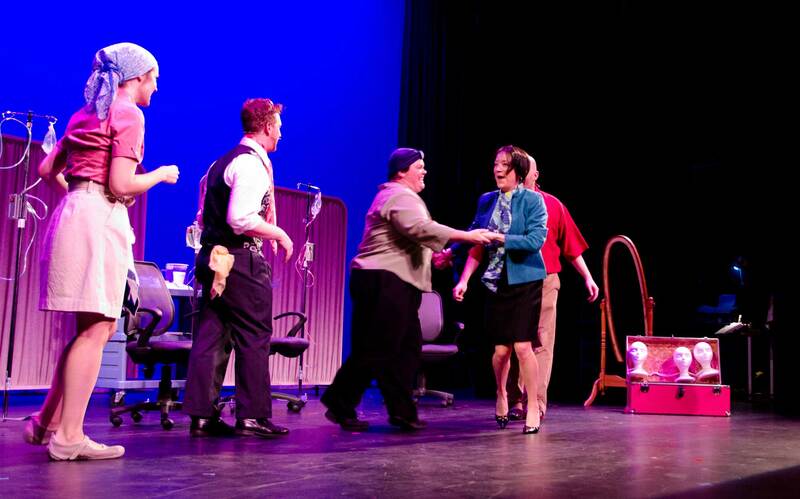 The audience will laugh, cheer, “whoop it up”, all while wiping away tears. It is an unforgettable and very moving performance. 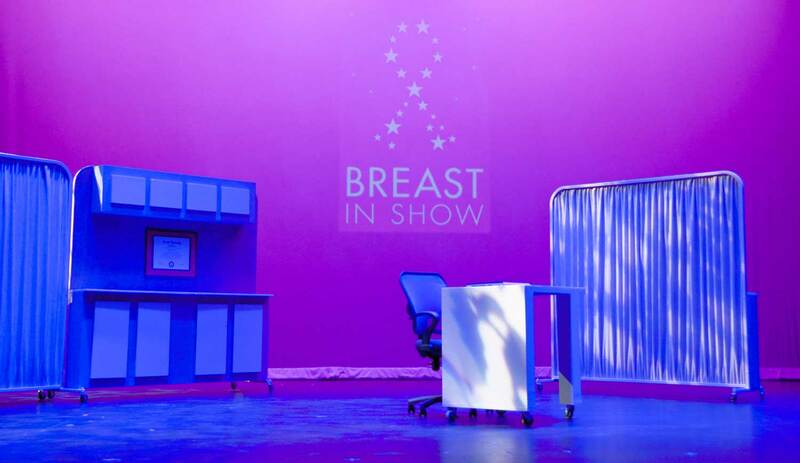 Audiences around the country and around the world deserve to experience Breast in Show. Sign up for show updates and news!